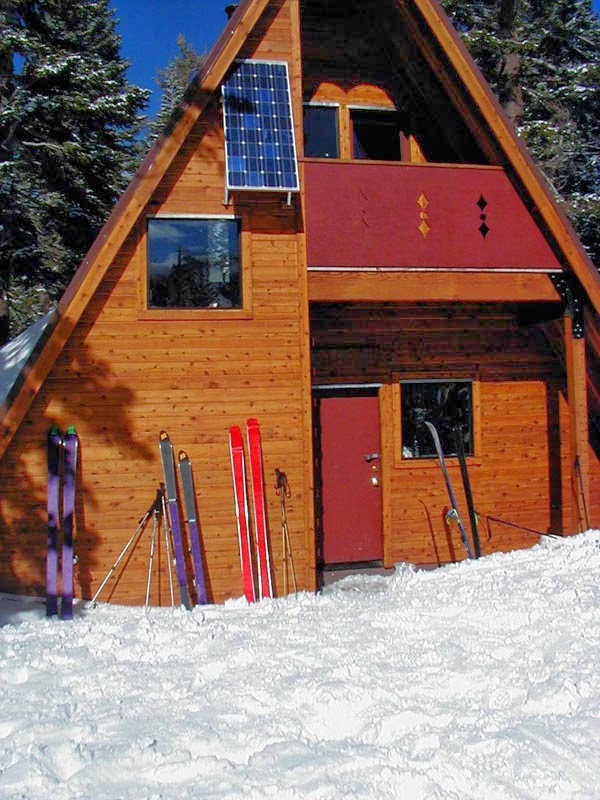 The Sierra Club has announced a feasibility study for a new hut on Donner Summit. The hut will be named “Ward Hut”, in memorial to the late Paul Ward, whose family and friends are funding the project. The Sierra Club has not chosen a site yet and is asking for your input on site location and building design. The following criteria will be used to find a suitable location. The Sierra Club expects the design to mimic the Bradley Hut in Pole Creek. This hut is a basic “A”-Frame, two story, hut with a wood burning stove and a separate outhouse. Paul watched the 1960 Olympics at Squaw Valley and became a weekend ski patroller at Dodge Ridge a few years later. In recent years, Paul took his grandchildren to Peter Grubb and Bradley Huts on Donner Summit. Paul passed away in 2013 after a long battle with Lou Gehrig’s disease. 1 . An area familiar to Ward- within 25 miles of Truckee. 2 . Outside statutory wilderness areas or areas. 3 . An area that won’t adversely affect the environment. 4 . On public or stable private land. 5 . Within one day over-snow travel from a public trailhead. 6 . Should have water and firewood nearby. 7 . Within on day over-snow travel from another similar hut. 8 . Should be sited near good access, but not on a heavily traveled route.